The coastline of southern Brittany in France is a sailor’s dream. Gorgeous harbors and ports, superb beaches, scenic islands, quiet anchorages and quaint villages abound. 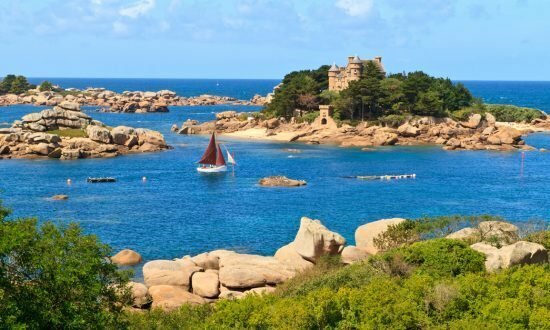 Southern Brittany provides the perfect backdrop for an unforgettable sailing holiday along the northwest coast of France. Dream Yacht Charter’s base in the Marina at La Trinité-sur-Mer in Southern Brittany provides easy access to Quiberon Bay. Experienced sailors will be hard pressed to choose between the scenic bays, rivers, ports and islands located within. 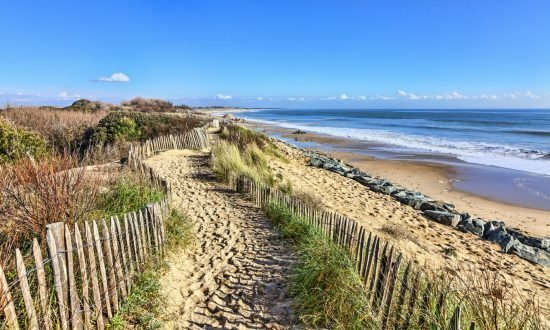 Île aux Moines’ scenic walks make it a favorite destination for those looking to unwind, and Île d’Arz’s lovely creeks and coves are popular stops for taking a dip. The Morbihan region is home to many prehistoric megalithic structures. The large stones were used as monuments or to construct buildings. Gavrinis, a small, uninhabited island, hosts what may arguably be Brittany’s most impressive Neolithic site, built roughly between 4,500 and 3,000 BC. Its pyramid-shaped stone burial chamber features a long stone passageway whose walls are covered with beautiful, ancient carvings and artwork. When sailing along France’s Atlantic coastline, there are endless opportunities to sample the local fruits de mer (seafood), cider and crepes. Muscadet, a fruity, white, french wine that is made in the Loire Valley, pairs perfectly with the regions seafood cuisine. 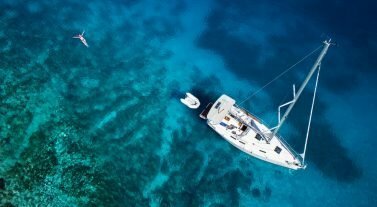 Tides vary greatly and Brittany’s coast is perfect for skippers with an International Certificate of Competence (an ICC license is required) to gain additional expertise in using the tides and currents in navigation. U.S. citizens must have a passport issued within the past 10 years that is valid for a minimum of six months at entry and valid for an additional three months beyond the planned date of departure. Visas are not required for stays of less than 90 days. Canadian, British and Australian nationals must present a passport valid for three months beyond the length of stay and issued within the past 10 years. EU nationals traveling from another border-free Shenegen country are not required to show a passport or ID. Credit Cards: Visa and Mastercard Generally accepted. ATMs: Most banks, post offices, train stations, etc. Bank Hours: Mon. – Fri. 8:30am – 5:30pm (some banks will close at lunch & some Mondays). Note: Confirm with your bank before you travel that your ATM/debit card (and PIN) will work in France. ATMs are not as prevalent in more rural areas. It is always wise to bring some cash when traveling abroad. Banned items or items that require a license to be imported include weapons and ammunition, drugs (other than those prescribed for personal use), live animals, plant products, cultural artifacts and endangered/protected species and products thereof as listed by the CITES (Washington Convention)–for example, ivory, tortoise shell, coral, etc. Medical care is comparable to that found in the United States. In an emergency, dial 15 to connect to emergency medical services. Use of sunscreen is recommended, especially during the summer months. Nantes is 150 km (93 mi), approximately 1 hr 30 min. Rennes airport 120 km (75 mi), approximately 1 hr 15 min. Auray station is 10 km (6 mi), roughly 15 min. Note: We can arrange transfers. Please contact us for details. Temperatures: Brittany’s climate is mild. August, the hottest month, averages a daytime temperature of 18°C (64°F), January is the coldest month at 8°C (46°F). During the month of June, you can enjoy nearly 11 hours of sunshine on most days. December is the wettest month with an average of 62 mm (2.4 inches) of rain. August’s average sea temperature is 19°C (66°F), making it the best month for swimming. 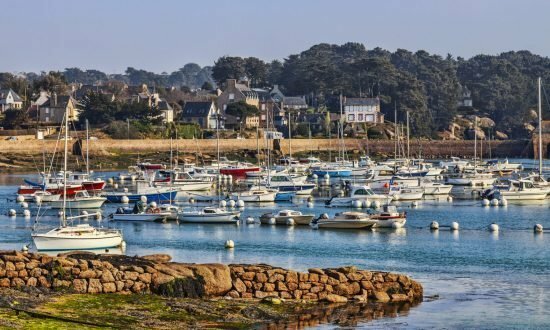 Special sailing considerations: Brittany has the fastest tides in Europe. And the large variation in the tides creates very strong currents. 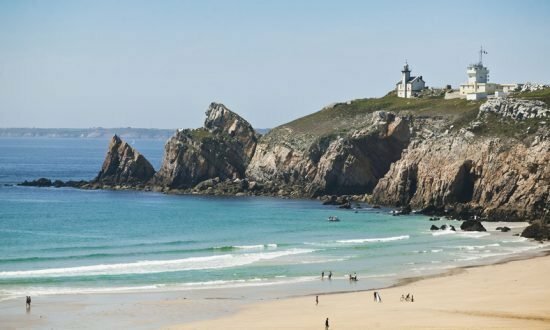 Quiberon Bay is sheltered from Atlantic Ocean swells by the Quiberon peninsula and Houat and Hoëdic islands, which makes for easier cruising conditions. The Gulf of Morbihan (Morbihan means “little sea” in Breton) is also sheltered from the Atlantic but has significant tidal ebb and flow. Sailing in Brittany requires an International Certificate of Competence (ICC) license or an ICC-licensed skipper.